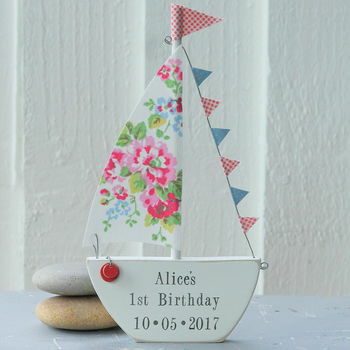 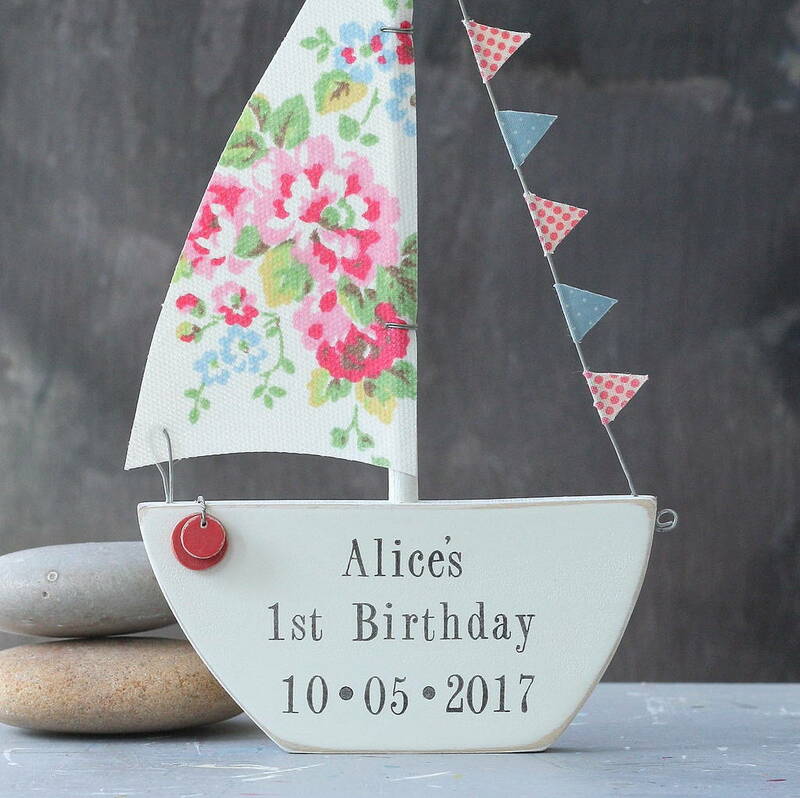 This cute sailing boat would make a perfect gift for a little girl who loves the seaside....and fishing. 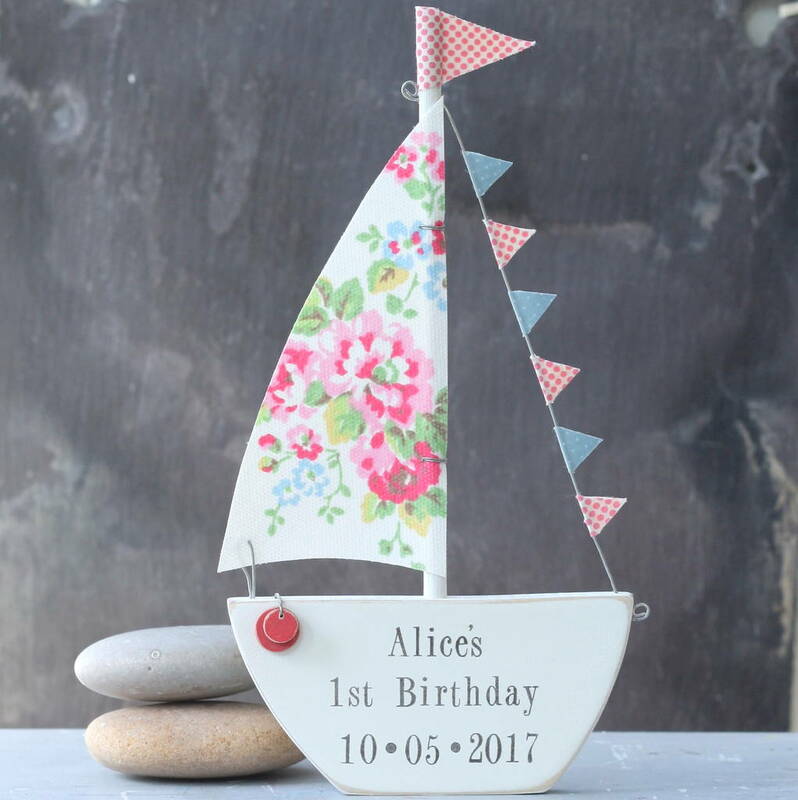 The fabric sail is a gorgeous floral print with coordinating cotton fabric bunting which comes in a range of colour options. 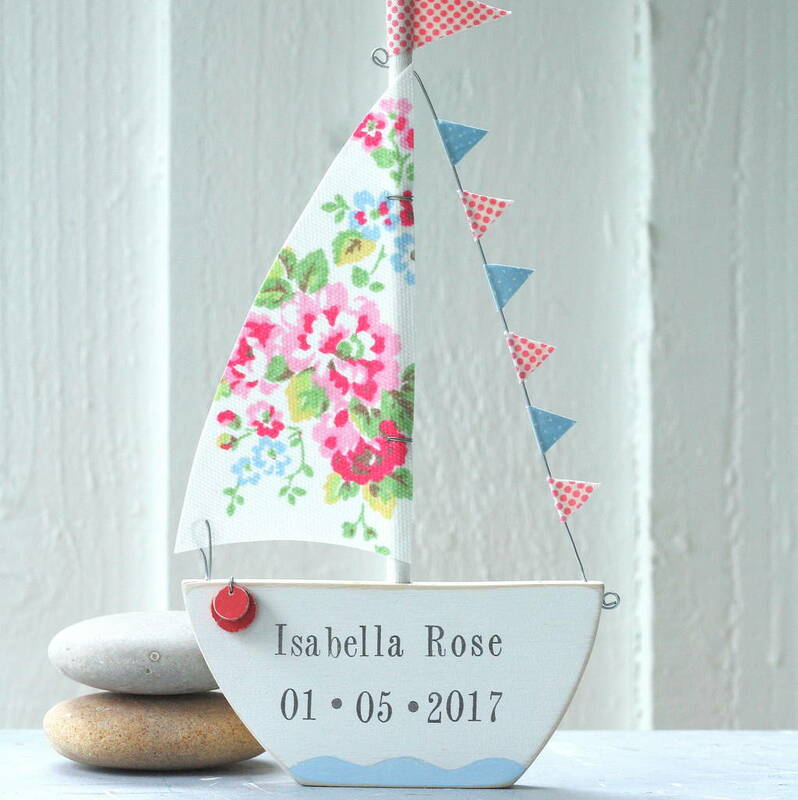 The fabric sail is also available in a blue stripe fabric. 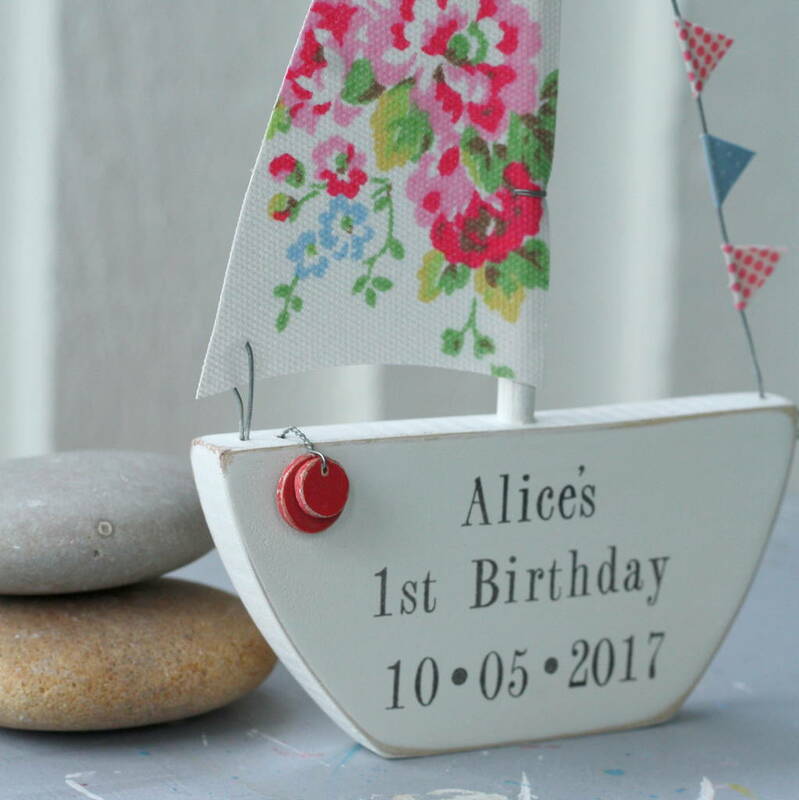 The wooden boat base and wave detail is handpainted, then carefully sanded to give the boat a seaside distressed look. 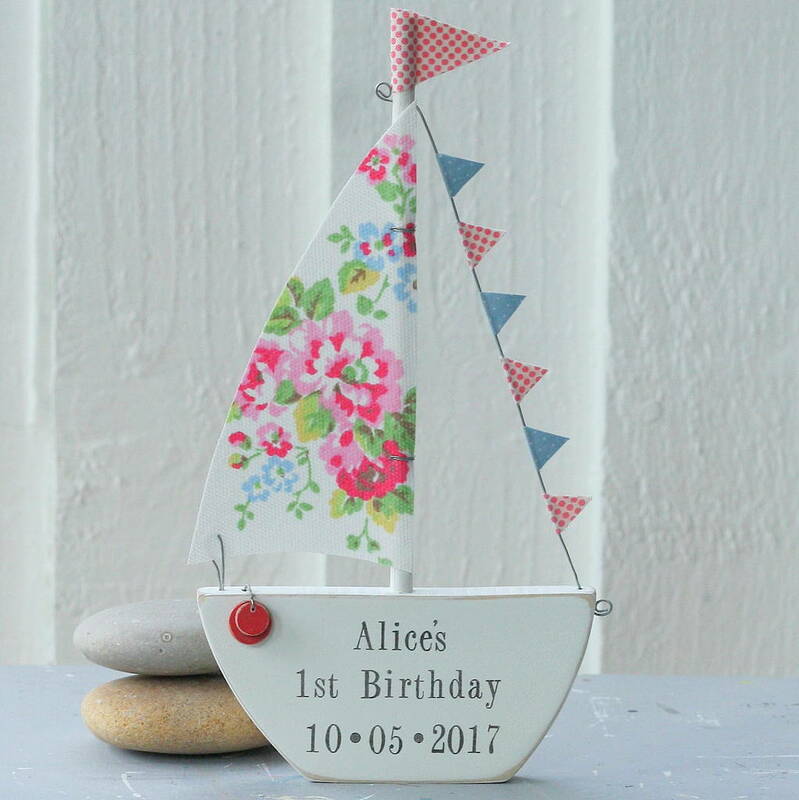 Two wooden painted buoys are attached to the front of the boat to complete the nautical look!